And we were back in Hong Kong again, eager to hit the ground running in search of food. Our first stop was at Yat Lok Restaurant (一樂食館) for brunch. 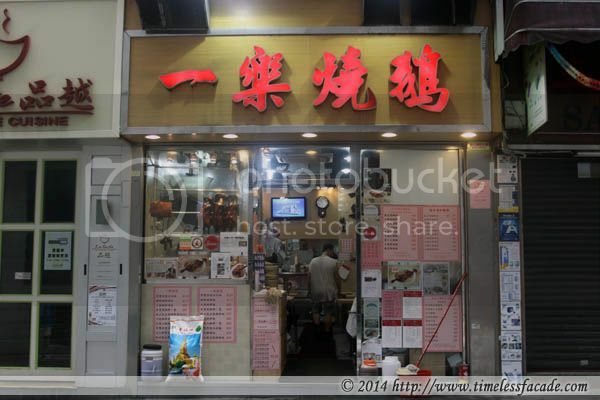 Located at Stanley Street just a couple of minutes walk away from the famed Yung Kee Restaurant and Central MTR, Yat Lok occupies a small shop space and was practically empty on a late Sunday morning. Our obligatory vegetable dish. 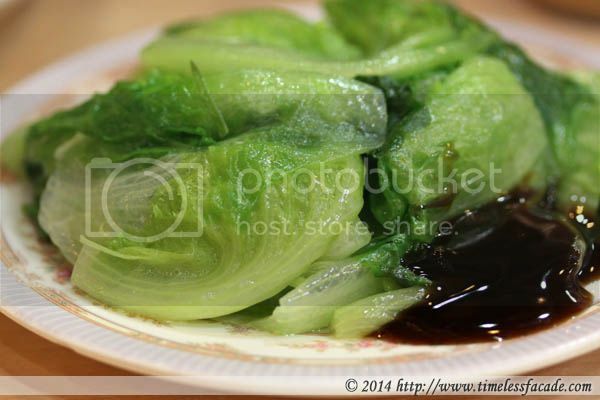 Nicely blanched with a dollop of oyster sauce. We requested for breast meat and was charged HKD 2 more. 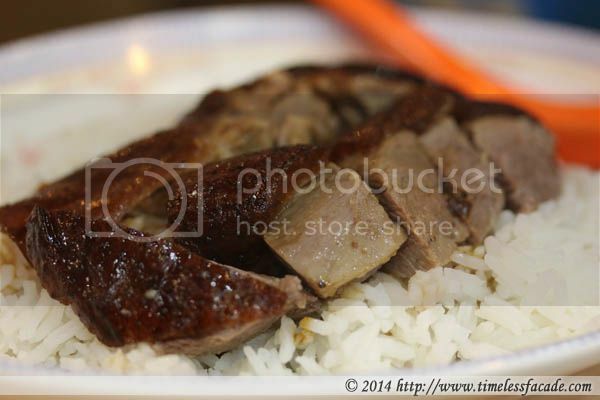 The goose meat was tender and juicy without coming across as overly oily, helmed by a nice thin layer of fats beneath the mildly crisp skin. It would have been better if the skin had been crispier though. For the same price and top up (for the breast meat), we had the option of adding BBQ pork to the equation, which wasn't a bad thing really. 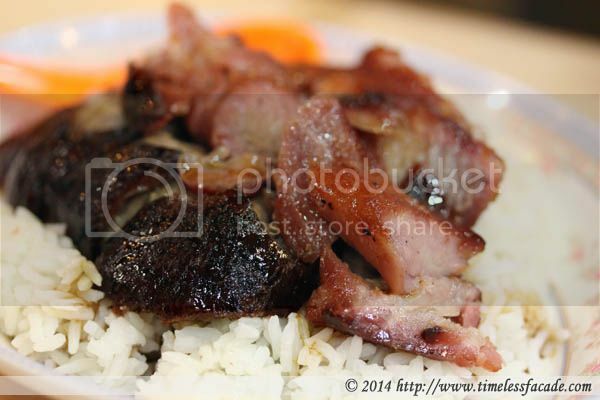 The char siew had bits of fats that made for a better bite but lacked the charred bits and moist sweetness that would have elevated it to stardom. With tea at HKD 13, the total bill came up to HKD 119 (~ SGD 20), which was pretty reasonable for Hong Kong standards. Service was pretty decent and all in all, it was a relatively good eat. Do note it's cash only.